This is a straight Carbon Fibre replacement for the standard OE cheap-looking plastic part on the standard bike. 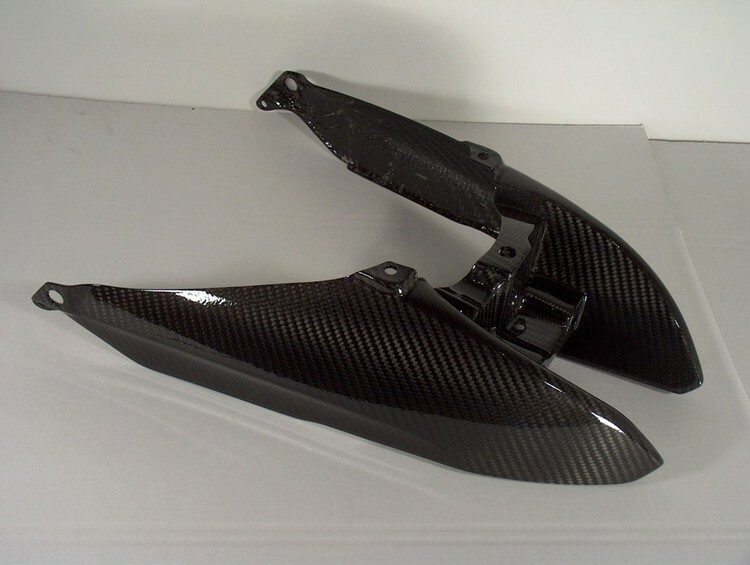 Made of pre-preg carbon fibre by the company that makes carbon parts for BMW, and made to the same (if not to a higher!) standard! Supplied finished with a TUV Approved, clear, high gloss, UV resistant surface coating. The coating is very easy to paint and the part is supplied unpainted so that you can, if you wish, easily finish it in the colour scheme of your choice. Another major advantage over the OE part is that it is available in two versions. It is available either with holes for the standard grab rails, or (for those who do not like clutter) without holes for the grab rails. A much sleeker rear end!!!! This is the one without any holes for the handgrips.